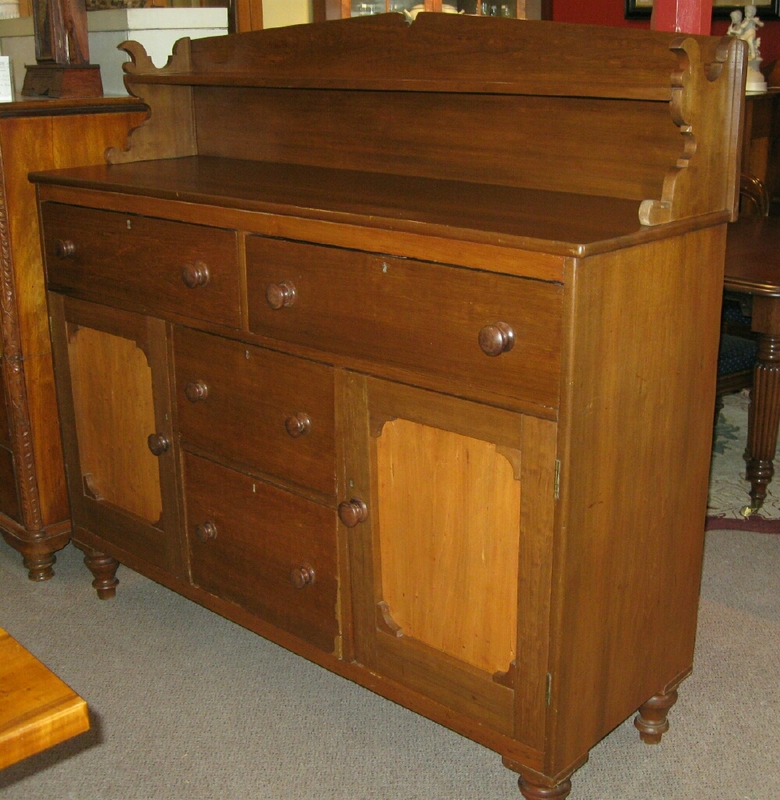 Sideboard from South Western Ontario with 4 drawers and 2 doors. Circa 1860. It measures 61 inches long by 20 deep by 44 high with a 14 inch backboard..